You know what's incredibly disheartening? The fact that a healthy salad can be sabotaged by something as simple as the dressing that goes on top of it. We get so focused on creating a nutritious base of grains, vegetables, and protein that we forget to consider the often over-processed, sugar-filled, and/or carb-heavy condiment you pour on top. It's sneaky and deceiving, and I feel the same way about an unhealthy salad dressing as I do about HIIT workouts. You see, I become convinced that I'm more than halfway through a 45-minute class, only to glance at the clock and realize, much to my chagrin, that I'm less than five minutes in. (That's not just me, right?) But I digress. Finding a healthy salad dressing becomes even trickier when you follow a ketogenic diet—the celeb-favorite eating philosophy in which fats and protein are consumed in place of carbohydrates. Since so many dressings are high in carbs, it can be difficult to find one that's as tasty as it is in tune with your diet. Well, that is, until now. We did the digging for you and found seven low-carb salad dressings that you'll want to use all year round. Keep scrolling to see them all. This tangy honey mustard dressing comes courtesy of Kyndra Holley, from Peace, Love, and Low Carb. All it takes is five ingredients, and each serving only has 0.5 grams of carbs, which, by the way, is well under the volume in most store-bought dressings. Combine 1/2 cup full-fat sour cream, 1/4 cup water, 1/4 Dijon mustard, 1 tablespoon apple cider vinegar, and 1 tablespoon granular erythritol. Pour it over salad or use it as a dipping sauce. Here's another one from Holley and Peace, Love, and Low Carb. Avocado ranch is the perfect dressing for Southwestern salads, wraps, and pretty much all other foods. It takes all of 10 minutes to prepare, with 10 ingredients, and it's keto-certified since it focuses on fats over carbs. Think avocado, mayonnaise, and sour cream (along with other tasty ingredients like chives, parsley, apple cider vinegar, and sea salt). For the full recipe and directions head over to the blog. If you lack the ingredients (or the time) to craft a homemade dressing, make sure you're buying the best packaged products. One of the most accessible is Trader Joe's Green Goddess Salad Dressing, which has 0 grams of carbs per serving. The main ingredients, after all, are avocados, a blend of olive oil, herbs, apple cider vinegar, and green onions. This keto recipe is from Healthful Pursuit. It's gluten-free, vegan, and keto, so rest assured it will fit all dietary philosophies (which makes it the perfect potluck dressing). Simply combine jalapeño peppers, with garlic, lime, salt, cilantro, and hemp oil. That's it. Add the ingredients to a blender and blend until it's smooth. The final result has only 3.2 grams of carbs per serving. Head to the website to see the full list of instructions. Primal Kitchen is a company that makes Paleo-friendly foods. The Paleo and keto diets overlap in that they don't allow processed sugars and carbohydrates. 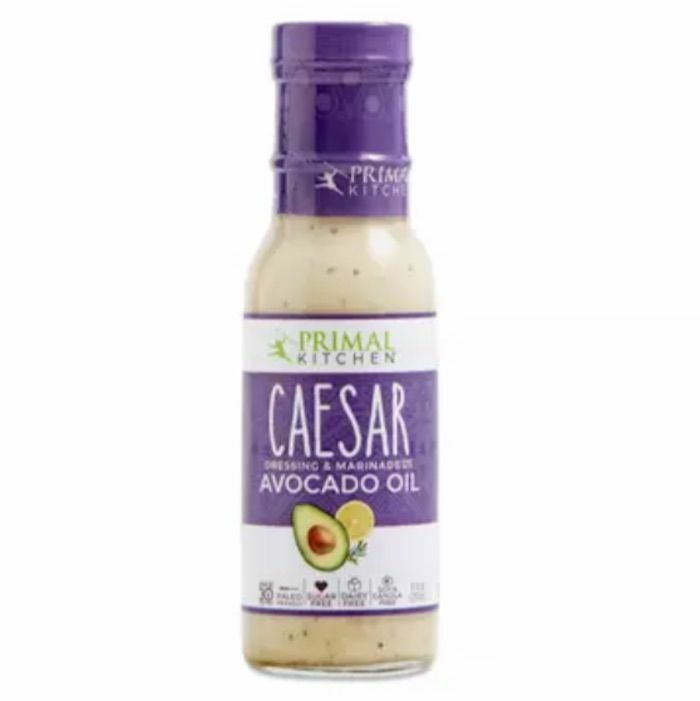 This dressing uses avocado oil and organic coconut to create a healthy take on traditional Caeser. It only has 1 gram of carbs per serving. For a salad dressing that can only be described as refreshing, look no further than the basil and mint vinaigrette by Kim from Low Carb Maven. 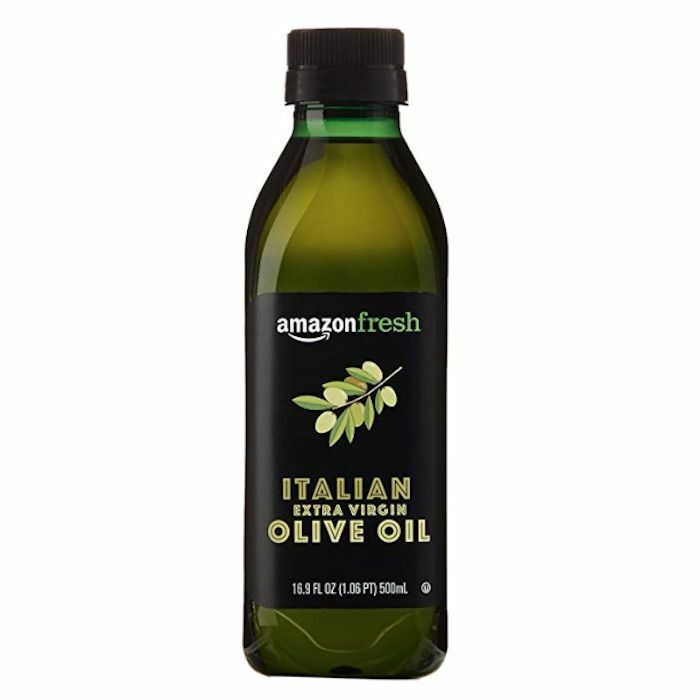 This is a dressing that sounds delicious on salads, as a marinade, or as a dipping sauce. Click on the link to see the full, detailed recipe (you won't regret it—this one sounds so good). Next, check out 10 healthy fats that you can include as a part of a healthy keto diet.